GCET Exam Study Materials, Gujarat Public Service Commission (GPSC), Union Public Services Commission (UPSC). Also, Panchayat Junior Clerk (Common) result, PSI Exam study materials, Police Constable Exam Gujarat, PSI Exam Gujarat Study Material on This Site. Old Papers Are Most IMportant For Exam preparation. We Try To Provide Most Important And Use full Exam Study Materials. 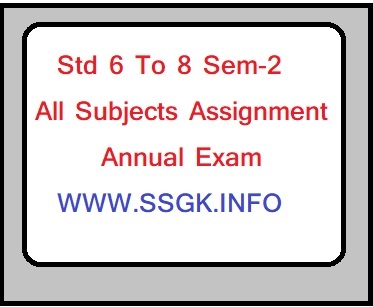 WWW.SSGK.INFO is a complete educational website and teachers sites. 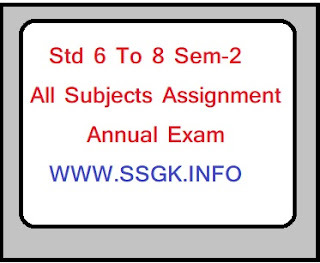 On This Site, We Provide Most Important PSI exam in Gujarat 2011, GPSC Exam Papers, Nayab Mamlatdar Exam Paper Solution 2012, DYSO (GPSC) Paper Solution 2012, Nayab Mamlatdar 2012 answer key. Also, GUJCET Answer keys, UPSC 2012 Answer keys. Also, UPSC CSE 2012 Paper Solution. UPSC 2012 with answers, SSC Combined Graduate Level Exam Previous Year Papers, And GSEB Gujarat Board Papers. We Provide you In Banking Exam, IBPS Common Written Exam, Bank Exam study materials And SBI Bank PO result.